Dave is taking his very rambunctious toddler to Disney's Animal Kingdom, so on this episode he turns to Safari Mike for advice on what works best for the little guy. 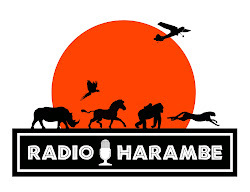 They also take a few minutes to discuss the new evening Safari tour just announced and even talk about the tragic death of a male gorilla at the Cincinnati Zoo. If you have any questions or comments about the show, please fee free to email us at jamboeveryone@gmail.com. Asante Sana!